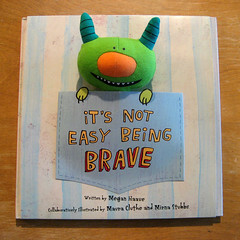 My very first children's book, ever! Woohoo! This was a blast to work on! I collaborated with my friend Mirna on this. We both painted and drew each spread by painting the backgrounds first and then creating linework to go on top of it. 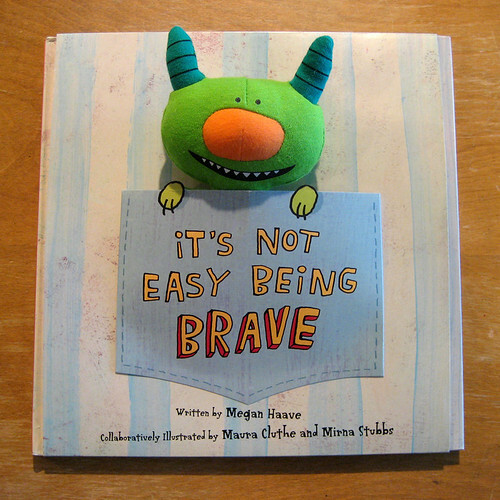 It's Not Easy Being Brave is a story about a little monster named Pip, who is scared of monsters. Published by Hallmark, this book is available at Hallmark Gold Crown stores across the country.